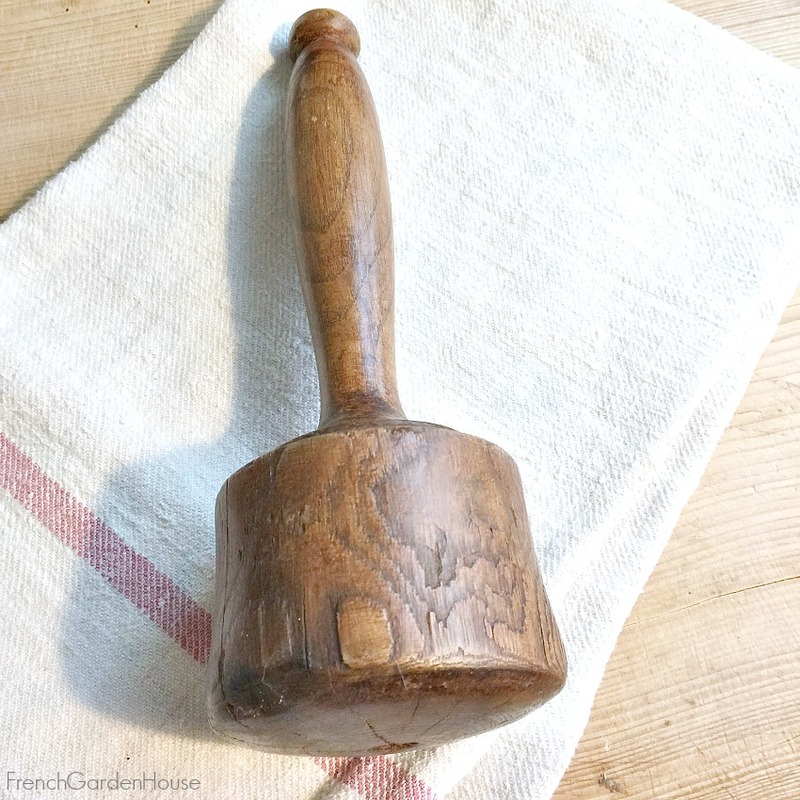 Antique 19th century French Wood Hand Carved Pestle or Masher, used over a century ago to grind herbs in a mortar, or perhaps mash potatoes and turnips. 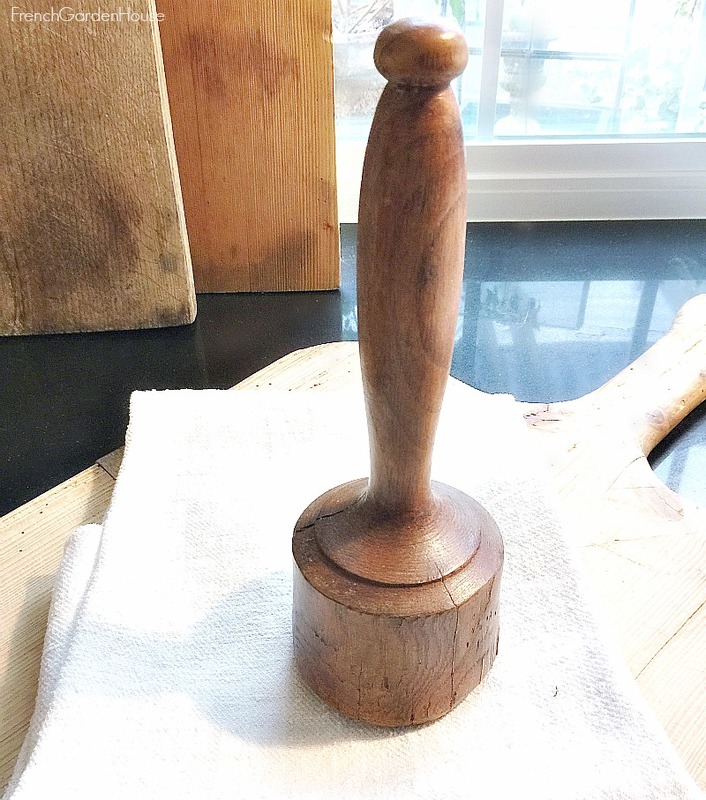 Found in the Provence region, this has all the charm, character, wear and allure of an antique used in a French Cuisine. I searched markets and antique auctions for these, each one has plenty of history, and perhaps stories to tell. Has wear, cracks, perhaps old worm holes and patina as shown! Please only purchase this if you adore the enchantment and grace of time. 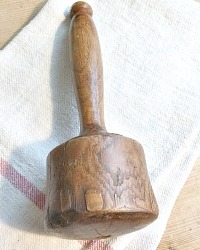 Display this with your kitchen antiques, still usable too, a perfect combination of decorative beauty and usefulness.